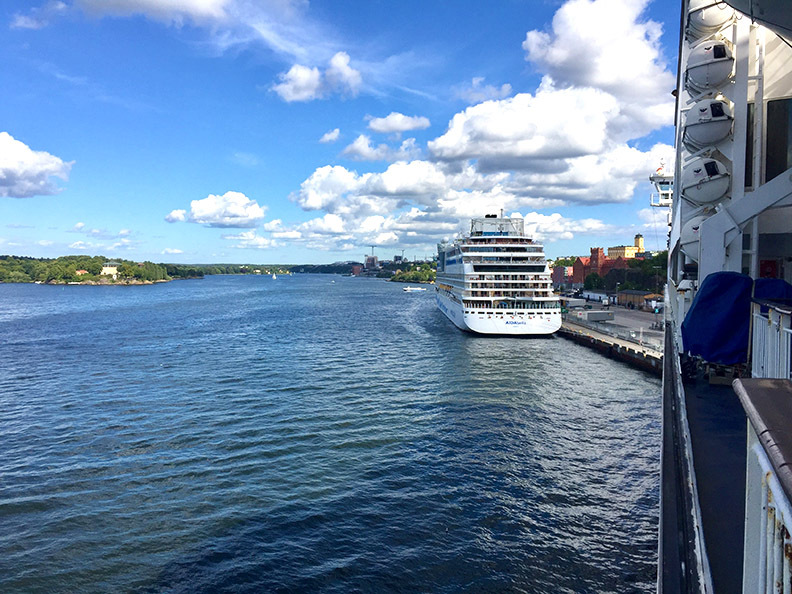 Two days later, we boarded the ferry out of Sweden to Helsinki, Finland. On the ferry and off to Finland! You can see our hotel to the right side of the photo, it wasn’t too far from the ferry. 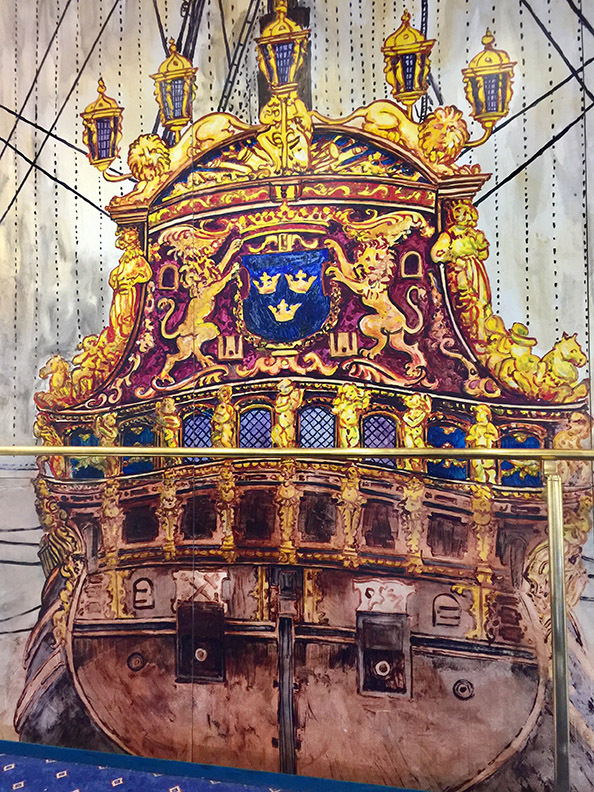 On the ferry, there was a lovely mural of the Vasa Ship in one of the stairwell hallways. I love this wall! 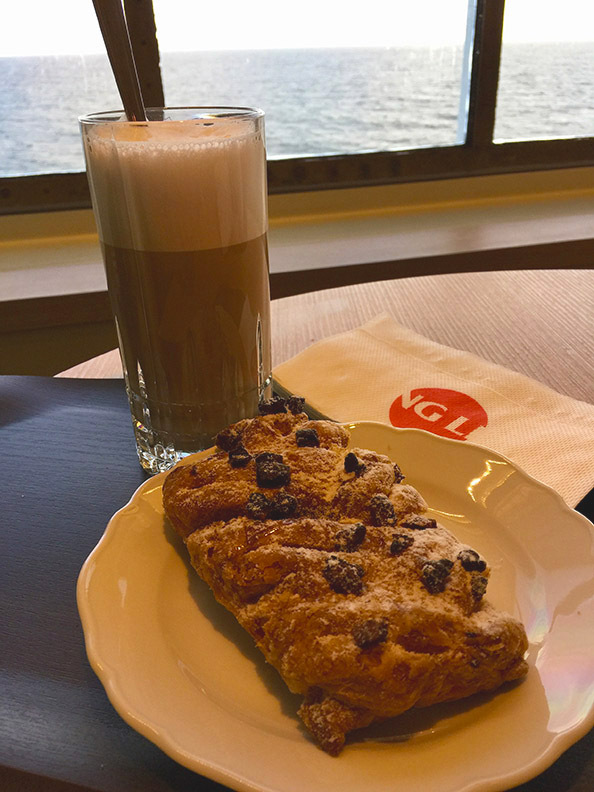 Woke up the next morning at sea to a delicious chocolate pastry and a cappuccino. 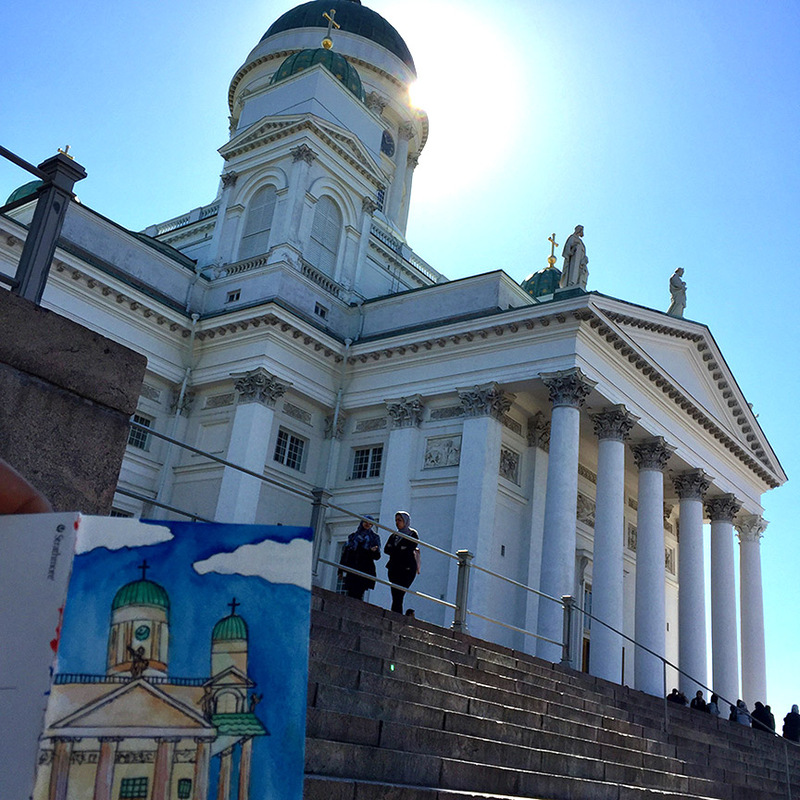 When we arrived, the first thing we saw was the Helsinki Cathedral. It’s a Finnish Evangelical Lutheran cathedral of the Diocese of Helsinki, located in the neighborhood of Kruununhaka in a plaza that is in the center of Helsinki, Finland. A postcard that I watercolored for one of my friends back home. In case anyone was wondering where the “Dinner in the Sky” attraction that is seen all over facebook was located, right here! 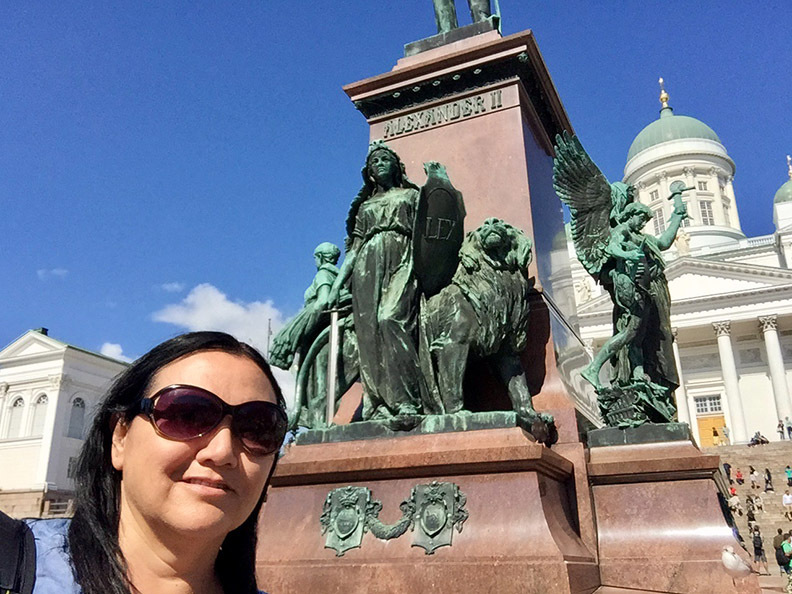 In Helsinki, Finland. 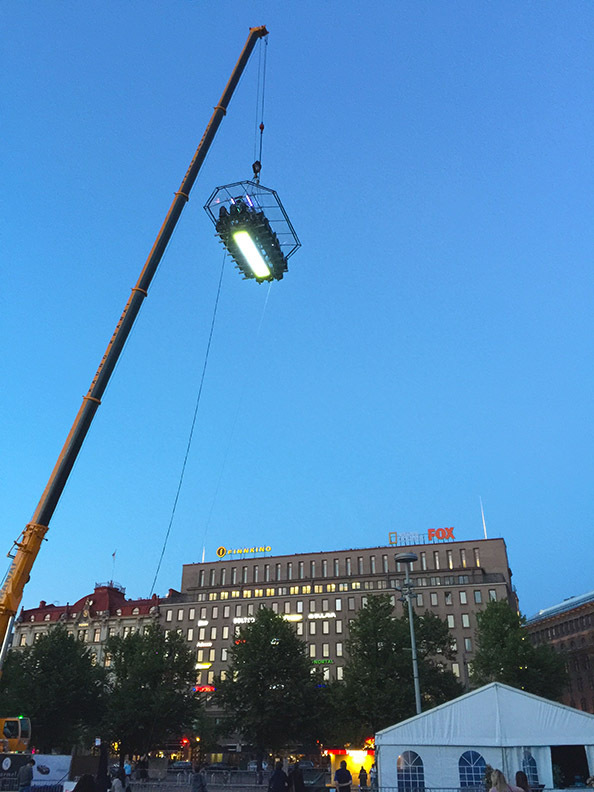 This was a block away from our hotel, and no I did not attempt to dine in the sky, it looked kind of scary to me.